Whether you operate one truck or a large fleet, planning your operating costs is imperative. Mercedes-Benz Service Plans is a maintenance and repair program designed to increase vehicle utilisation and protect your vehicle and your business from unexpected operating costs. Through Mercedes-Benz Service Plans, the Mercedes-Benz dealer network carries out maintenance and repairs according to an agreed schedule and pre-determined costs. 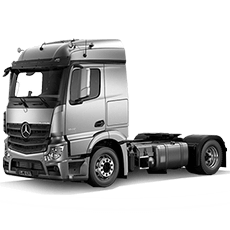 Mercedes-Benz Service Plans rates are calculated and agreed by using criteria and information supplied by you, such as vehicle application, anticipated annual kilometres, operating hours, loads and working conditions. This means you can work out a budget with monthly payments and be confident that your agreed maintenance and repair costs are covered. A planned service and mechanical repair schedule in accordance with the vehicle maintenance manual. Can minimise the risk of vehicle downtime through regular scheduled servicing and repairs. 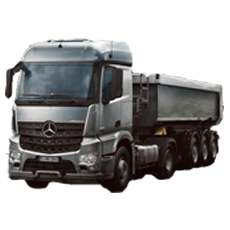 The program is supported by a comprehensive network of authorised Daimler Trucks parts and service professionals. Regular and planned servicing with genuine parts and service may improve resale value. Service and payment schedules are forecast, providing the opportunity to assist with efficient budgeting. Vehicles are supported any time anywhere in Australia by the nearest authorised dealer. The program can be amended to reflect changes in the operation of each vehicle. BestBasic includes all scheduled servicing work for your vechicle as specified in the Maintenance Manual or the Telligent System. In addition to powertrain repairs, Select also includes the BestBasic maintenance package. An optimum combination which gives you an enhanced mobility service. Parts and labour required during servicing work are also included. SelectPlus combines the benefits of the Select and BestBasic plans with repairs of additional defined parts and groups of parts. Labour and parts required during servicing work are also included. Complete covers all necessary repair and maintenance work including wearing part. In short the best choice to ensure that your vehicle is in tip-top condition, is available for use and that costs are kept under control. 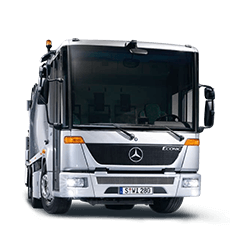 My vehicle has been serviced by Orange Mercedes-Benz Trucks in the past.